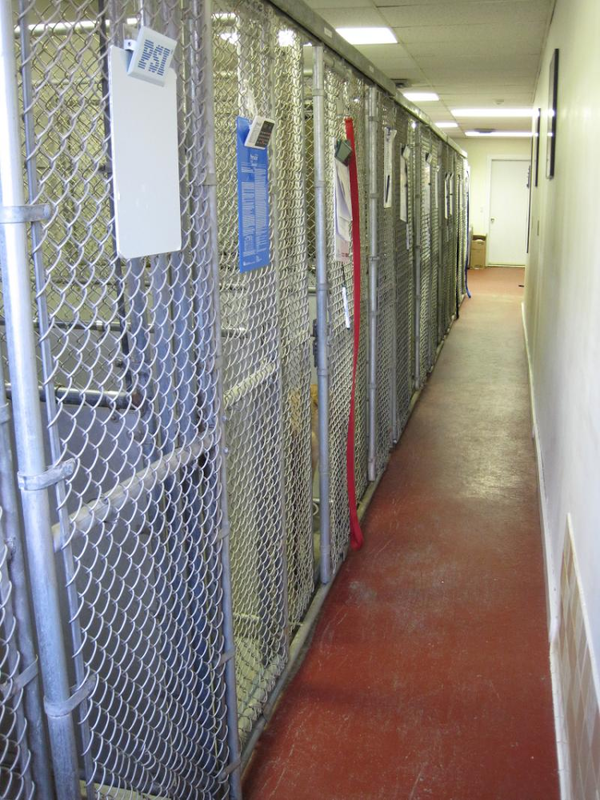 Animal Health Care offers climate controlled indoor boarding for dogs and cats. We also provide outdoor runs - weather permitting. 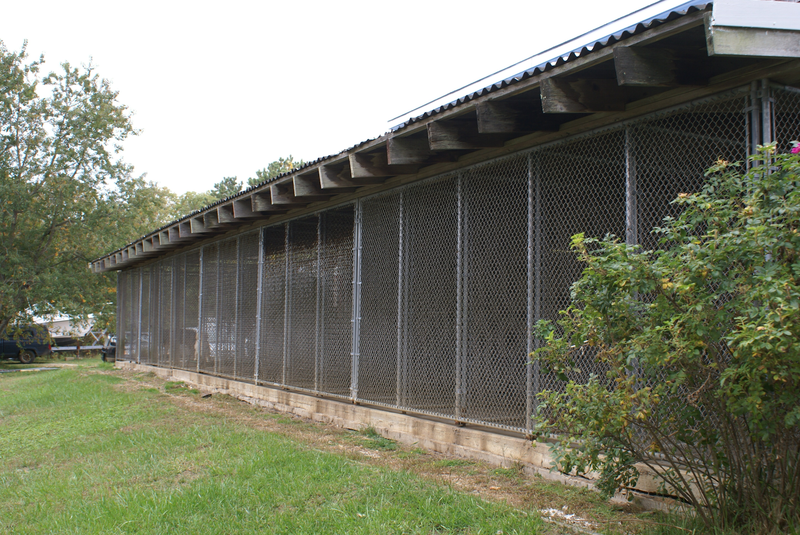 We have 12 condos for cats, 13 for large breed dogs, 7 for small breeds and 9 hospital enclosures. Because your pet's cleanliness and comfort are paramount to us, the runs are cleaned and disinfected twice daily, more if necessary. Clean raised cots and blankets are provided, twice daily feedings and fresh water are always available. You may bring your dog's special diet with you or we can feed our Hill's Science Diet Adult Sensitive Stomach Formula. 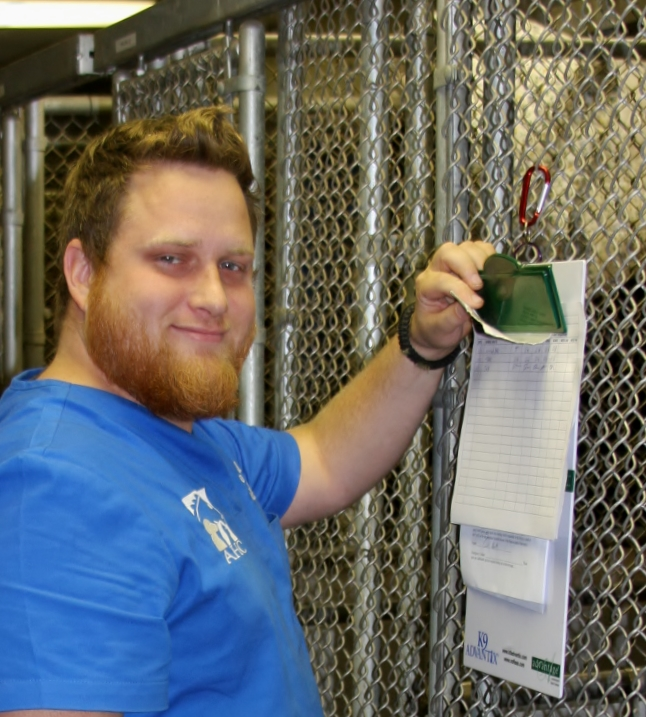 All the pets in our care are monitored daily for eating, drinking, and eliminations. Should your pet appear to need medical attention we will follow the instructions on your intake form or contact you for further instructions. If needed, veterinary care will be provided by the hospital. 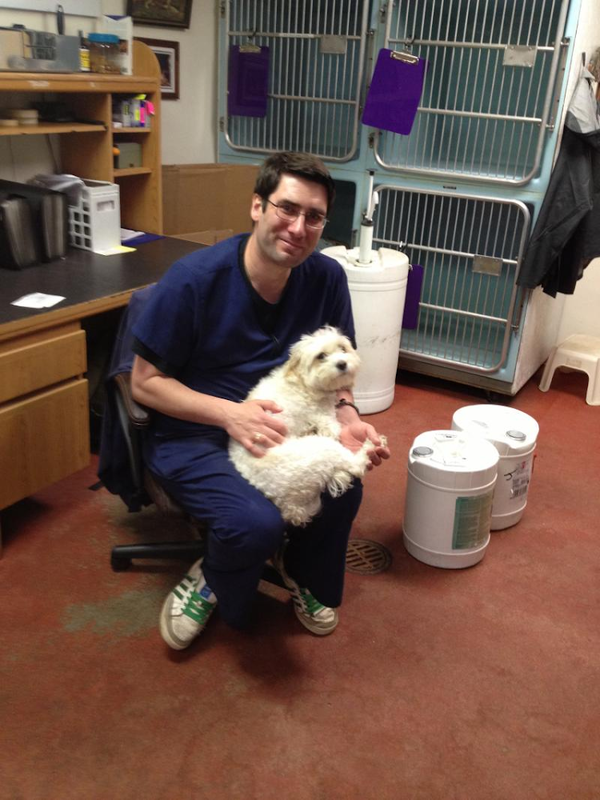 All medical expenses are the responsibility of the pet owner. We will administer any medications or vitamins brought from home for a small surcharge. Medications are administered as prescribed. 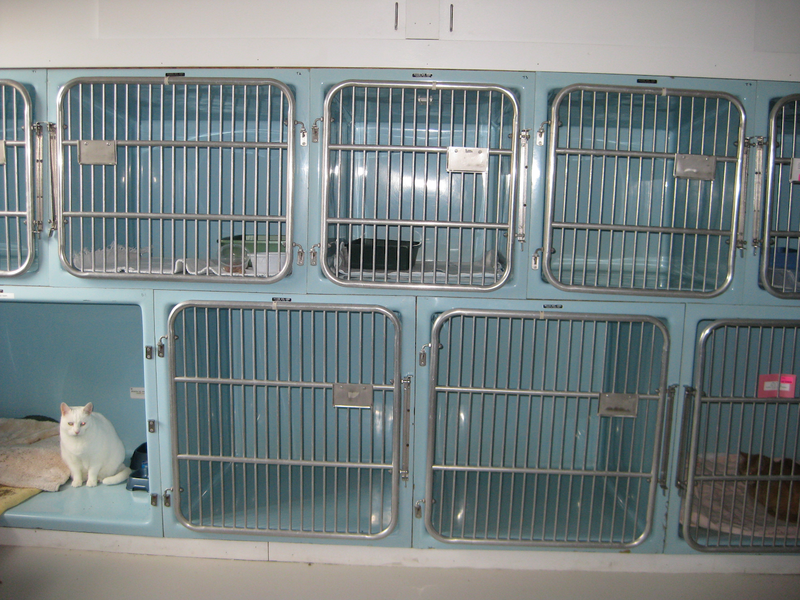 Pets with special medical needs may be boarded in our hospital enclosures for an additional fee. Boarding Rates are calculated on a calendar day basis, any part of a day is considered "a day" of boarding. If you pick your pet up by 8:30 am you will not be charged for that day. 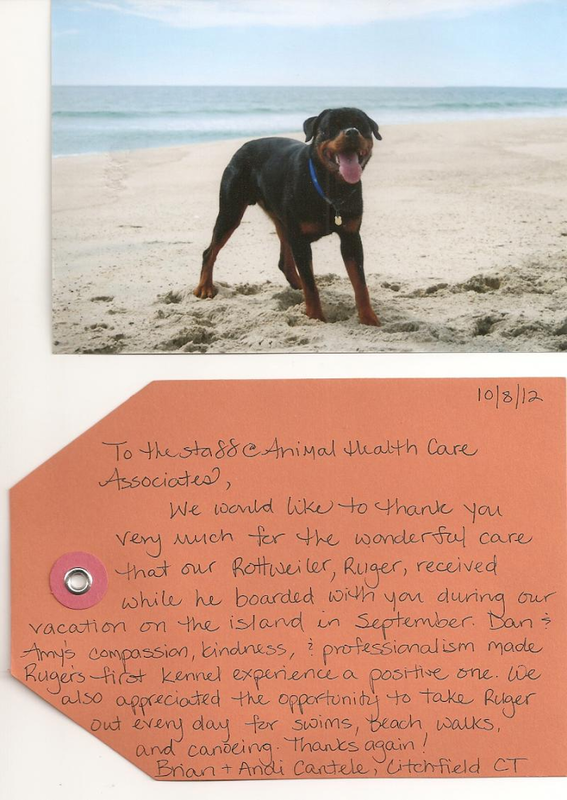 Rates are based on whether or not your pet requires medicating while staying with us. Please call for our current rates. Thank you! 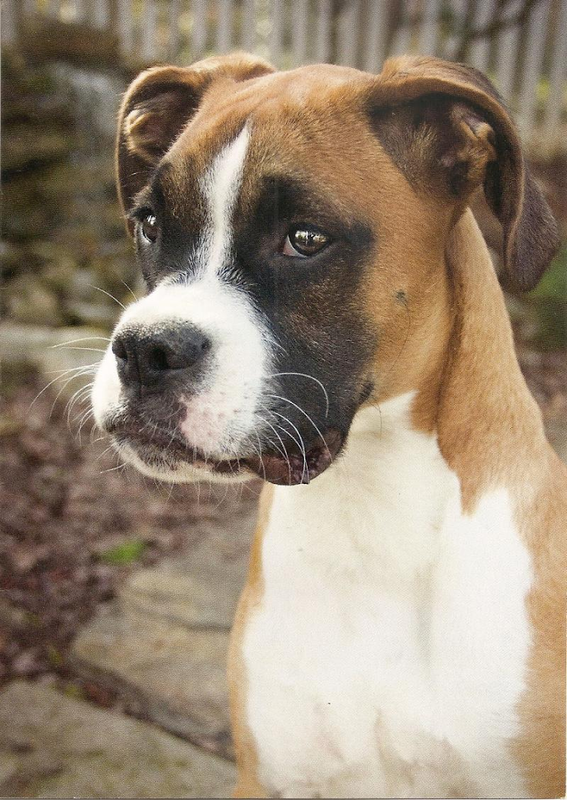 Canine Vaccination Requirements: All dogs coming into the boarding facility must be current on their Distemper (DHLP-P), Rabies and Kennel Cough (Bordetella) vaccinations. A positive vaccine title will be accepted. All vaccination documentation must be received by our boarding department prior to booking the reservation. Feline Vaccination Requirements: All cats coming into the boarding facility must be current on their feline Distemper (FVRCP) and Rabies vaccines. A positive vaccine title will be accepted. All vaccination documentation must be received by our boarding department prior to booking the reservation. Flea Prevention: Cats and dogs must have been treated with a flea prevention product (ie Frontline, Advantage or Advantix) within the month prior to entering the boarding facility. If a pet is found to have live fleas we will need to treat them at the owner's expense.